Unique design and superb details make this 4-storey villa a highly desired vacation spot. This deluxe property boasts unforgettable sea views and a rooftop you will never want to leave. After a perfect afternoon at Kamala Beach, come home to this luxurious villa, just 500m from the shoreline. After a fun-filled day of sifting sand between your toes at Kamala Beach, make the easy, 2km trip back to your 3 bedroom villa to luxuriate in its amenities. With every amenity imaginable from a private pool to a personal elevator, Equilibrium Villa in Rawai is a brand new complex promising guests only the best of luxurious accommodations. This 2 bedroom villa is a private paradise and only 500m to Kamala Beach. Villa Niyati is a superb 3-storey property equipped to host up to 24 people in its 7 bedrooms. Spacious and appealing, 5-bedroom Villa Oditi spreads over ground level which is especially convenient if you are travelling with children. This 2 storey holiday abode is all about modernity and comfort. It combines an advantageous location and distinct design with high-quality fittings and astounding details. 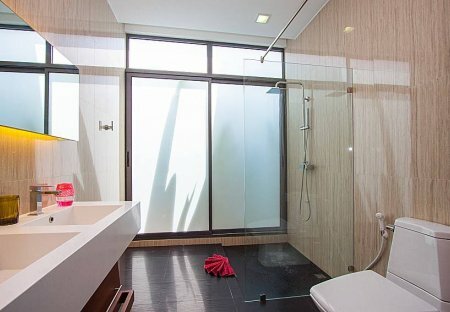 Friendship Duplex Condo is a brand new modern two bedroom duplex apartment at Rawai, set over two-storeys with a cozy private pool inside the courtyard. A classy, Asian style villa, this property offers a chance to rent something truly special. This remarkable 3-bedroom villa is set in a secluded and pristine location on a hill that overlooks beautiful Patong Bay. Located only 1.5 km away from Phuket’s epicentre Patong Beach, this sophisticated holiday abode offers panoramic ocean views and privacy of a secure estate. 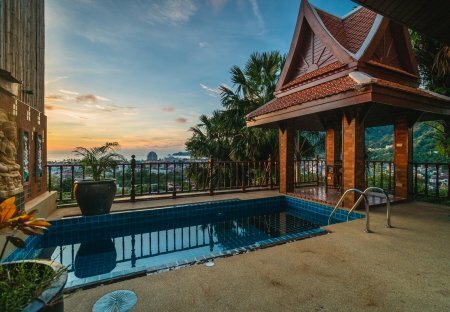 Nestled on a hillside in Patong and enjoying tropical sea views, this 3-bedroom villa is chic and homely at the same time. Conveniently situated between Rawai and Nai Harn on the southernmost tip of Phuket Island, Ocean Breeze is the perfect holiday home retreat. Seductive Sunset Villa Patong brings a new standard of class to holiday homes with a host of upscale amenities, an enormous amount of space for guests, and attractive furnishings.